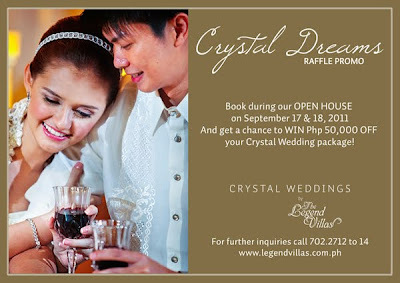 Visit Legend Villas’ Crystal Weddings open house from September 17 to 18, 2011 and get as much as P50,000 off your wedding package in the Crystal Dreams raffle promo. Book your special day during the open house weekend to get one raffle ticket. 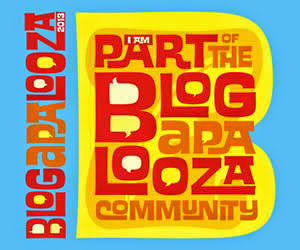 Winners will be announced immediately after the event. “The overwhelming response to our Crystal Weddings open house held early this year made us decide to hold another one. This time, we wish to reward one lucky couple with as much as 25% off their dream wedding package,” said Karen Reyes, Sales and Marketing Director of Legend Villas. Crystal Weddings presents two unique packages – Quartz and Onyx, motifs which make for truly unforgettable weddings. The Quartz theme reflects timeless elegance with its luminous décor and classic table set-up. Stylish and chic in black and white, the Onyx package is meant for couples who opt to veer from tradition. 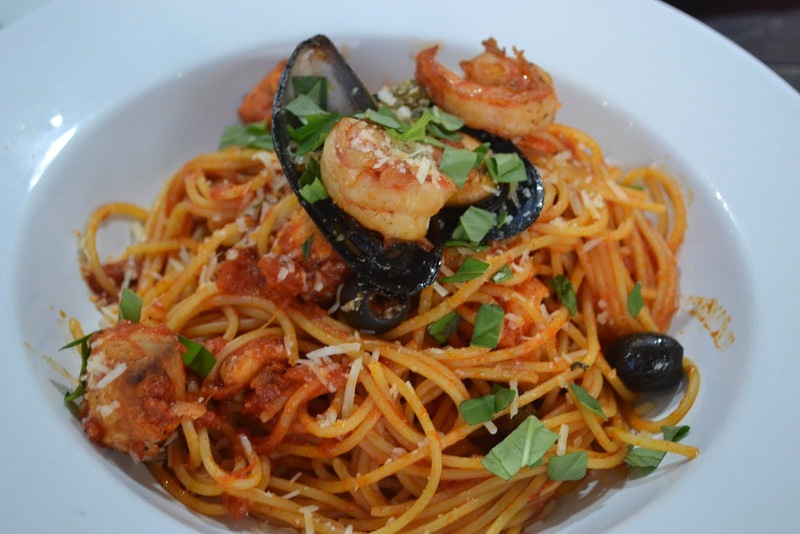 The starting package rate for 100 persons costs only P155,000. “Our Crystal Weddings packages guarantee luxury of service, stylish set-up and sumptuous feast. Legend Villas is your perfect venue as we take care of all the fine details of your special day,” added Reyes. Legend Villas is a 124-room sprawling hotel property in the heart of the metro. As part of Legend Hotels International Corporation, the hotel carries a tradition of innovation with first class amenities and personalized service. The hotel is located along Pioneer Street in Mandaluyong City. For inquiries, please call Banquet Sales Office at 702-2712 to 14 or visit www.legendvillas.com.ph.